WATCH: Who Noticed Jack Conan's Wardrobe Malfunction In The Build-Up To Byrne's Try? WATCH: Who Noticed Jack Conan’s Wardrobe Malfunction In The Build-Up To Byrne’s Try? 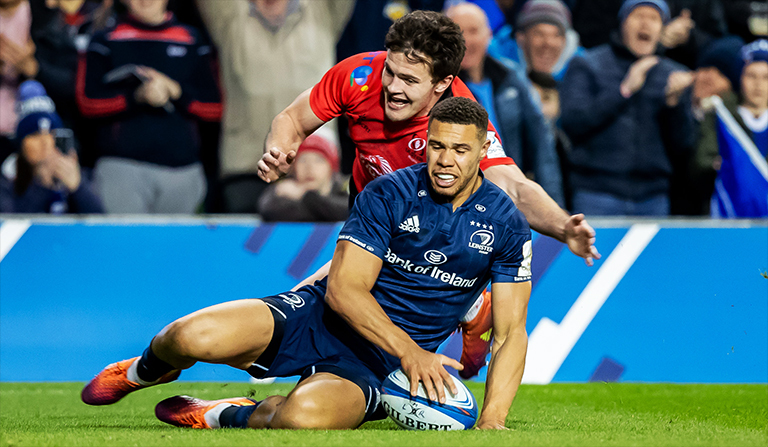 It was a tale of two wingers yesterday evening at the Aviva Stadium, with Ulster’s Jacob Stockdale spurning a chance on the left flank, before Leinster’s Adam Byrne made no such error on the right. Byrne’s second-half try, along with a Ross Byrne penalty proved to be enough to send the defending champions through in the end – in a thrilling Champions Cup quarter final affair. But it’s Jack Conan who deserves the credit for that crucial try, with the back-row making an excellent break to put Byrne in – despite suffering a bid of a wardrobe malfunction along the way. The 26-year-old’s shorts fell down as he sprinted past the Ulster defence, and he even managed to have a go at pulling them back up mid-break. And he didn’t even break his stride. Impressive stuff!